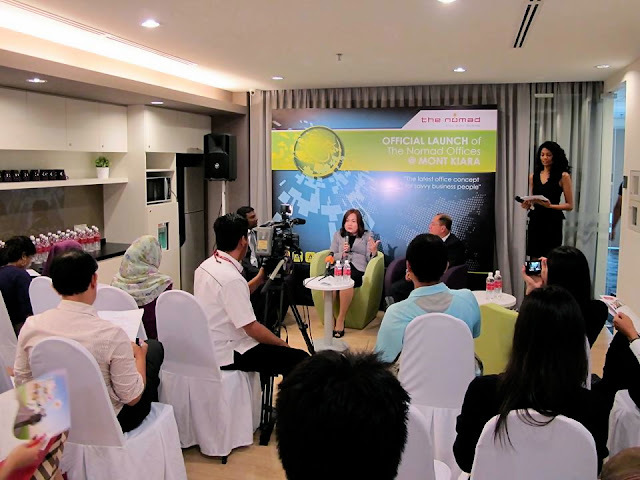 Stephanie Lim: [ADV] Official Launch of the Nomad Service Offices at Mont Kiara. [ADV] Official Launch of the Nomad Service Offices at Mont Kiara. Concept office is taking over the working environment! Especially for small and micro businesses. Even businesses that are taking off. As a new company, setting up your own office will cost you a bomb, as you will have to rent or purchase your own space, furnish it, renovate it; the list just goes on. Hiring a cleaner would also cause you a headache, not forgetting setting up a telephone line, internet and so on. Or perhaps you are tired of working or conducting your meetings in cafes which doesn't really exude that level of professionalism you prefer?That is why there's service offices to provide you with what you might just need. I myself think it's a great idea! The Nomad Office business centre, can provide all these for you in one convenient and classy location! Service offices is an ideal alternative for mobile professionals, and especially the current generation of entrepreneurs and freelancers. With their latest branch in Mon't Kiara, all you have to do is to sign up for a package that suits your needs and you can move in and start running your business from a venue that is fully equipped that will definitely impress clients. 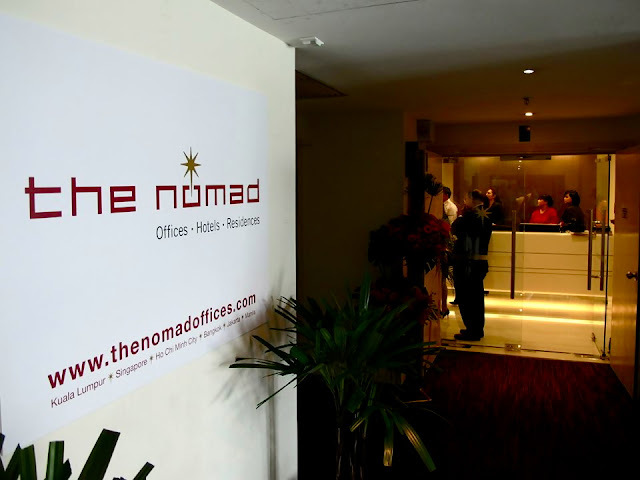 There are currently thirteen Nomad Offices across Southeast Asia located in Kuala Lumpur, Singapore, Ho Chi Minh City, Jakarta, Bangkok and Manila. While in Kuala Lumpur there are Nomad Offices at Pavilion, Menara Hap Seng, Menara Prestige, The Gardens at Mid Valley and the newest and latest addition to the group which is the Nomad Offices at Mon’t Kiara. I recently visited the SoHo complex in Mon’t Kiara, Kuala Lumpur for the official launch of this new 5,600 square feet business centre. 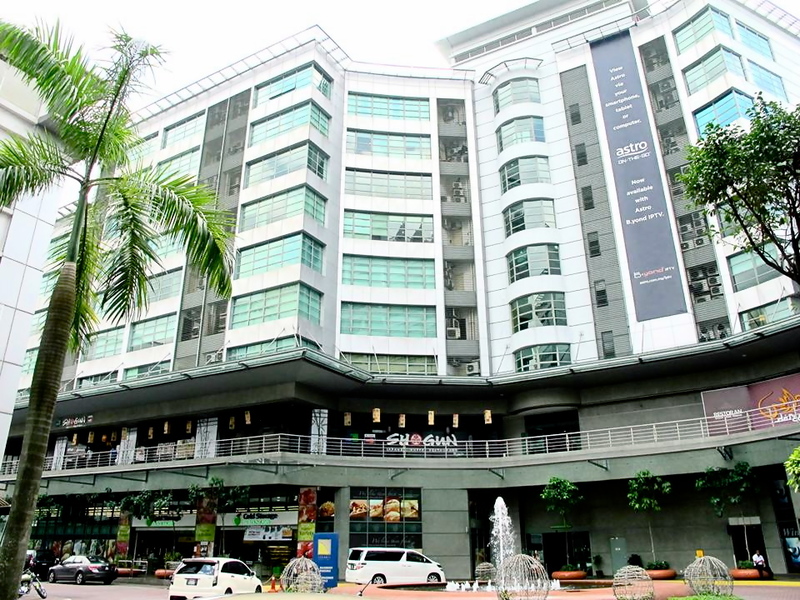 The great thing about the Nomad Offices at Mont Kiara is that it offers a great location as it is easily accesible, with ample basement parking and also valet parking out front below, there isn't much hassle getting there or even struggling to look for an available parking spot. 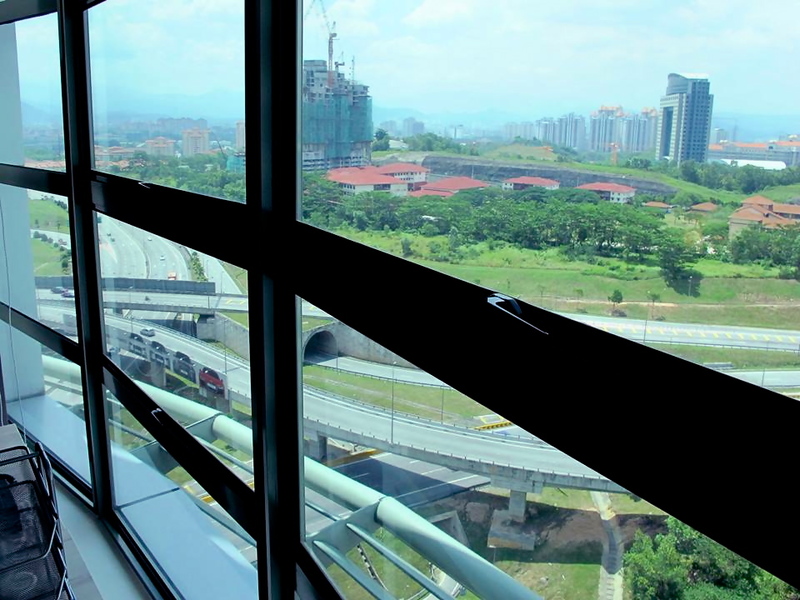 In addition to not being located too far from the heart of Kuala Lumpur, The Nomad Offices at Mont Kiara is surrounded by banks, restaurants and cafes. Talk about convenience! During the Q&A session at the launch, I got a clearer picture of the functions of a service office and how the Nomad differs as one. As with all The Nomad Offices, the new business centre provides serviced office suites, shared office space, hot desks, virtual office, meeting rooms and video conference facilities designed with a fresh contemporary outlook to complement the trendy neighbourhood restaurants, bistros, cafes and entertainment outlets. Nomad hopes that this factor will appeal to younger entrepreneurs and the young at heart business owners. After the official launch, Q&A session and short tea break we were shown around the service office suites. Renting out a space at The Nomad Offices at Mont Kiara does not only give you an exclusive address but also, services like a professional receptionist and call-answering services! It helps a lot when you're not in the offices as you won't miss any calls for that matter. The Business Lounge is where you can relax and watch the news on TV, or brief conversation with colleague or clients. There is magazines and daily newspapers at the lounge if you ever need to catch up with some reading. Furthermore, you can always make your own coffee/tea as it is complimentary! 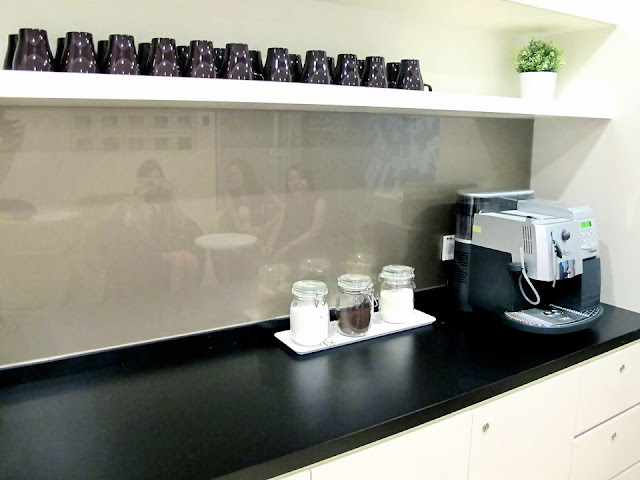 Imagine sipping your tea while reading headline news, without worrying of cleaning up or even leaving your office. The lounge is also equipped with charging stations for tablet and mobile phones, so you don't have to worry if your battery is low and you didn't bring your charger out with you. The Nomad Service Office at Mont Kiara provides everything stated above and also more!Printer and photocopy machine available for your disposal. Here I am at the single occupant office suite. Simple and comfy for those whole only need space to fit one. It can also be a great place to study as everything you need is available here! One of the dual occupant office suite. This is the dual occupant office suite that has a lovely view of the surrounding area. Nothing beats the sunlight from the outdoors! This is the five occupant office suite which comes with a partitioned office. Suitable for bosses or managers who needs more privacy. The fifth desk is not in the photo as it's stationed on the right. You can move into a serviced office suite immediately (as long as the office space is available) and the contracts are flexible for short-term to long-term leases with no hidden costs. The Virtual Office is suitable for home-based businesses that need a professional address, freelancers who need a professional business address and call-answering services, international offices wanting to establish a local presence, and new business start-ups. We were sitting in one of the smaller meeting rooms which fits 4 pax. There are four meeting rooms in the total at The Nomad Offices at Mont Kiara, with the biggest being able to fit up to 20 pax. If you're looking for something bigger you can try the other Nomad Offices that is located in Pavilion which has bigger meeting rooms fitting up to 50 pax. The all-inclusive meeting packages provide you with complimentary bottle water, flipcharts, stationery and mints, while catering services are available by request.The Nomad Offices are in pretty central locations in the Klang Valley, and therefore should be pretty accessible for guests and attendees. The Nomad Offices at Mont Kiara saves the hassle of going through tremendous headache of deciding on office space to rent or purchase, it is cost-effective and an ideal place to have a virtual office or an office of your own that comes with tons of services, facilities and amenities at the reach of your hand. The Nomad Offices has a package to suit your needs! The Nomad Offices @ Mon’t Kiara is located at:L-7-1, No. 2, Jalan Solaris,Solaris Mont Kiara,50480 Kuala Lumpur,Malaysia. I met with a representative of this company for the location in the Bangkok office. I had one meeting with them and gave them my credit card information. They informed me of the first month rental but failed to tell me that I would have to pay another 5000 baht in set-up fees. I chose not to sign the agreement and not conduct business with them. 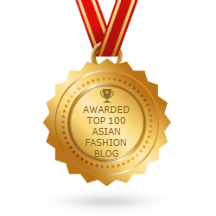 The sales representative was very understanding and said that I would receive my refund but it would take a while... However, 10 days later I received an email to tell me that I would lose the first month. And in order to receive the balance of the deposit I would have to sign a back-dated agreement otherwise forfeit the entire amount of all the money I had paid. I obviously don't accept this type of business practice. What do you think?